Israel’s West Bank settlements: Netanyahu’s arrogant response to the U.N. Palestine vote. Israel’s prime minister says diplomacy is war, criticism of Israel is anti-Semitism, and West Bank settlements aren’t unilateral. 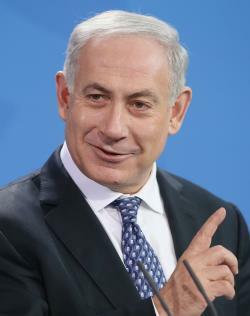 Benjamin Netanyahu speaking to reporters in Germany on Dec. 6, 2012. Now Netanyahu has opened a trip to Germany—Israel’s most reliable friend and arms supplier in Europe—by insulting Europe, Germans, common sense, and critics of his land-grab policy. In an interview with Die Welt, Netanyahu argues that diplomacy is war, criticism of Israel is anti-Semitism, and U.N. resolutions—but not Israeli settlements—are unilateral. That is the root cause of the conflict: the unwillingness to make peace with Israel in any borders. … I would make peace in a heartbeat with Abu Mazen if he wanted peace, but he went to the U.N. His speech in the U.N. was not the speech of a man who wants peace. It was terrible incitement, full of venom. It wasn’t the way that a leader speaks to his people preparing them for peace. I feel a deep mission to protect the Jewish people and the one and only Jewish state. We’ve had a horrible history on the soil of Europe. Our people were murdered—six million of our people and from the ashes of the Holocaust, we built the state. This state is being attacked again and again by Arab states and now by Iranian-backed terrorists. And it’s being attacked again and again with slander. In our history, including on the soil of Europe, we had a regular pattern. First the Jewish people were maligned, then they were attacked. And the maligning, the vilification served as the legitimization for the attacks that followed, and in many ways this is what is happening to the State of Israel. It is vilified again and again in public opinion, including in European public opinion, to prepare the attacks. We had no defenses before the establishment of the Jewish state, and we could be tossed like a leaf in the wind. And we were incinerated like refuse. And so the Jewish state was established, among other things, to give the Jewish people a home in their ancestral homeland, but also to give them the capacity for self-defense. Our enemies who know that they cannot defeat us on the battlefield in legitimate warfare, are using two types of weapons against us: the weapon of terror—rockets fired on our cities. And the weapon of lies. … We seek to live in peace with our neighbors, and they seek to either eradicate us with a frontal attack, or to establish a state that will not live in peace with us. And either one is unacceptable. I think that there’s a willingness to believe the worst about Israel in some quarters of Europe, and that’s something that has been part of our history in Europe for many generations. People believed outrageous things about the Jewish people, as some now believe about the Jewish state. What is our great crime? What is it we’re doing? We’re building in the areas that will remain in a final peace settlement of Israel. This is not some foreign land. This is the land in which the Jewish people have been for close to 4000 years. What we’re talking about is suburbs contiguous to Jerusalem. And everybody knows that they will remain part of Israel. You don’t change the map, you don’t prejudge anything. There’s a case to be made for many of Israel’s concerns about Palestinian statehood. But this isn’t it. Rockets are violence. Speeches and resolutions at the U.N. aren’t. Israel is entitled to demand probationary security mechanisms in the Palestinian territories based on recent history. But it isn’t entitled to claim those territories based on the Bible. Israel can bargain for parts of the West Bank, but it can’t take them. The Holocaust must be remembered but never abused. Someday, Israel will have a prime minister capable of making this case to the world. My fear is that the world will no longer be listening.